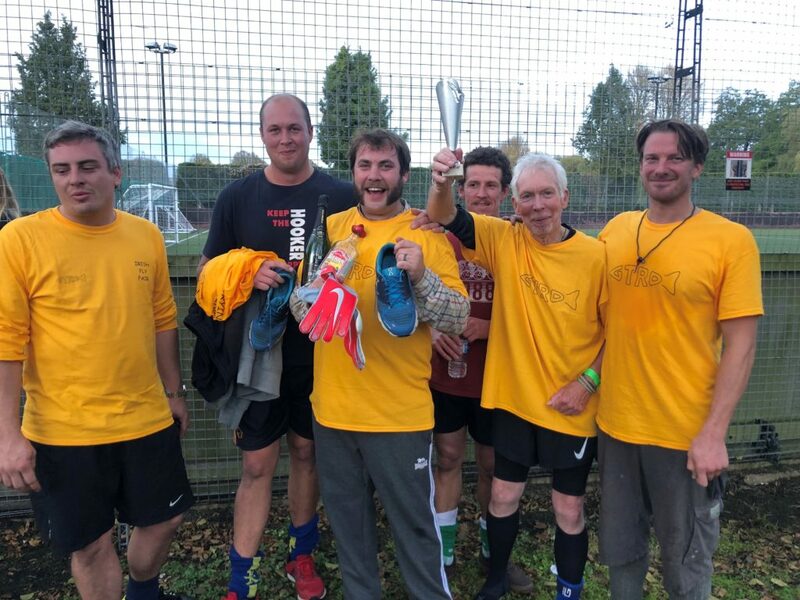 Riverkeepers of the Test and Itchen raised more than £1,500 for Fishing for Schools with a fundraising football match on Sunday (4 November). The match, at River park Leisure Centre in Winchester, was the brainchild of Itchen riverkeeper Simeon Hay and saw six keepers and friends square up on behalf of each of the legendary chalk streams. The target had been to raise £250 for Fishing for Schools with the event, but the support and generosity of friends and family has meant they surpassed that many times over. Fishing for Schools director Charles Jardine, who dusted off his football boots after half a century for the match, said: “I would like to say an enormous thank you to everyone who took part, both on the pitch and on the sidelines. It was a fabulous day and I’m delighted to say that my team, the Itchen, prevailed, winning 11-5. Infact play was so tough, Peter Farrow playing for the Test had to visit A&E with suspected ligament damage. Simeon Hay added: “It was such a fun game and hilarious – a football pitch is hardly the natural playground for any of us, but they all put so much effort in. REDBRIDGE LAKES….WHERE DAVID MEETS GOLIATH! !